Mackenzie's best and only friend, Travis, likes her but is too scared to do anything about it. When Mackenzie starts dating Braden, and the two of them investigate the death 30 years prior of high school student Cassidy, who was Travis' aunt, things between them become difficult. This story gives us angst and teenage drama in the here and now, and Cassidy's struggles as a teenager in the 80s. There are unintended consequences when Travis gives Mackenzie his aunt's diary to read. I like that the mistakes and behaviour of these characters are age appropriate. They are young and just learning about life and they muck up as teens do. I thought this was pretty realistic. Hickville Redemption is a really well done, engaging young adult romance and a mystery thrown in, and I devoured it happily. You don't need to read the previous Hickville High stories to enjoy this one, but the previous books are all worth reading too. 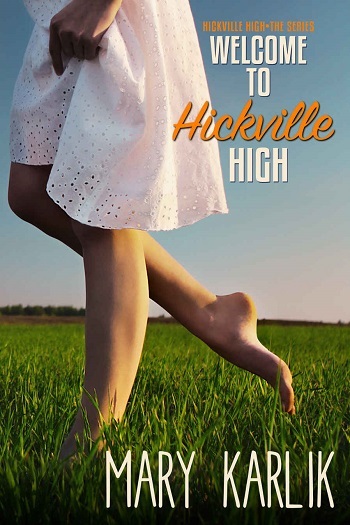 For reviews & more info, check out our Welcome to Hickville High post. For reviews & more info, check out our Hickville Confessions post. 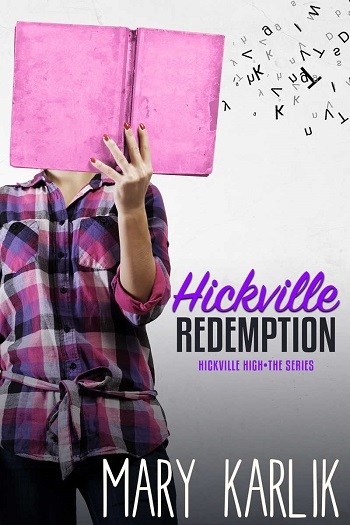 Veronica reviewed her personal copy of Hickville Redemption (Hickville High #3) by Mary Karlik for this post.